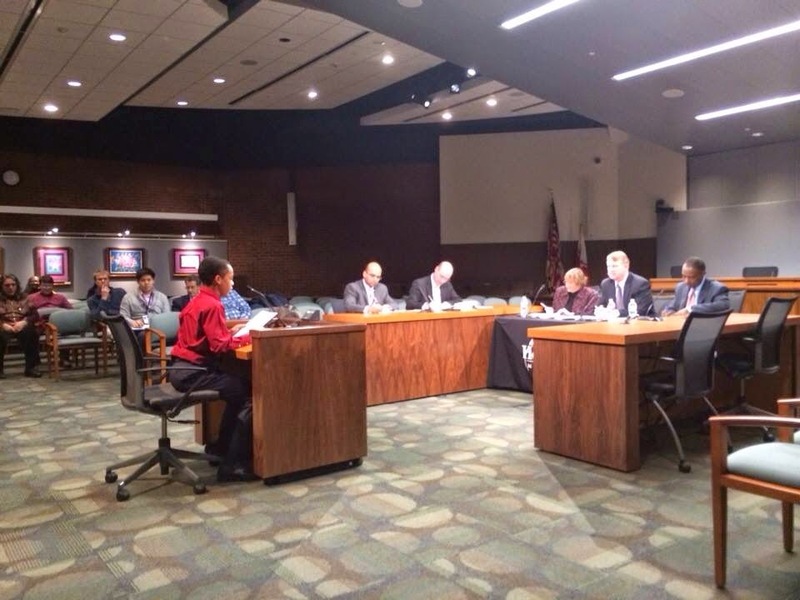 Last night I attended my fourth Howard County Budget Hearing. These hearings have a distinctly regal affect to them; a reenactment of the common pleas brought to the king in times past. County Executive Kittleman did his best to break down the wall between him and the audience, making personal comments regarding either the budget request or the individual speaking for each submission. These events also involve quiet competition. Howard County is far too civil a place for us to bring this competition into discussion, but in times of budget restraint, every dollar spent is a dollar withheld from something else. And in a County of "bests" (best schools, best library, best community college), the temptation is great to say "maybe this other thing deserves some attention too." Those "bests" do not come without budget prioritization, often over other worthwhile, but low-constituency, endeavors. This was the first year I did not mention the County's efforts on homelessness in my remarks and I regretted it the moment I left the George Howard Building. I have no illusion that my testimony would sway the will of an Executive who may not be inclined to listen to anything I have to say, but at least that low-constituency concern would have had a voice. The County, and its various interests, should be commended for the turnout. I would estimate that there were over 125 people in the room to start the night, many of whom were there to support the Community College. I, along with the rest of the room, was most impressed by a 7th grader (pictured above) who testified in support of computer programming and engineering programs at the Howard County Library. I don't know how the motivation for testimony spread between parents and child on this one, but great job on both counts. My testimony focused exclusively on Ellicott City flooding. Whether County Executive Kittleman serves for four or eight years, there is a high likelihood that he will either steward innovative new efforts to protect Main Street Ellicott City from devastating floods or oversee a prolonged clean-up effort in the ruins of a great town. A place like Ellicott City can only tolerate so many Tropical Storm Lees before structures weaken and business owners decide it is no longer worth it. While many will say that Lee was a 100 year storm (only predicted to occur once every 100 years), it is worth noting that an identical storm (if not slightly more powerful) came within three miles of Ellicott City last year and flooded BWI instead. While many will say that Ellicott City is situated on a river and presumed to flood, it is worth noting that due to storm-water runoff from development upstream Ellicott City now floods from the top of the hill, a very peculiar place to flood indeed. Estimates range from $8 million to $14 million on what will be required to make any meaningful impact on Ellicott City flooding. I don't expect that money to be in the FY16 budget, which is already projected to be curtailed due to revenue shortfalls. What I do expect is a long-term plan. We need a four, eight, and ten year capital plan to give the folks on Main Street and West End some solace that while they have been made to wait, help is on the way. This Administration is on notice of the threat, just as County Executive Ulman was. The difference is that Executive Kittleman's watch starts now. Addendum: In case it has to be said, losing an election is embarrassing. You really don't feel like being "out", particularly not among people that pay enough attention to local affairs to know you lost. Nevertheless, I really can't help myself and last night I figured I would just find a chair, write my testimony (whoops), and wait for my turn. To all of you who came up to me and made that impossible, thank you so much. It filled my heart up. Same goes for all those who posted on Facebook.